Over the past decade, a powerful new approach to development - open source software - has risen to prominence, dramatically increasing the opportunity to re-use existing software. As with commercial components, the ownership of externally developed open source components and fragments remains with their authors. 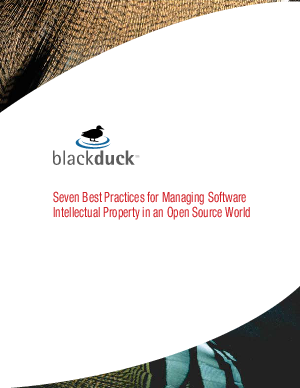 While most of these authors allow the commercial use of their software without initial payments or royalties, many have chosen to impose other constraints, such as: attribution, usage reporting, license replication and the requirement that the resulting (derivative) software must be open source.